Agneepath’s Huge Overseas Numbers: 16 crore! As we reported earlier, Agneepath, directed by Karan Malhotra and starring Hrithik Roshan, Sanjay Dutt, Rishi Kapoor and Priyanka Chopra broke box office records on its opening day, Thursday January 26th with an incredible 26 crore. The success at the cinemas continued on and in India in its first weekend, the film made over 65 crore, which is huge. However, that is not the full story because the Dharma Proudced film also released worldwide and Eros International has just announced that Agneepath also had a smash hit opening overseas. The film has shown collections of an impressive Rs. 16 crore in the international markets. 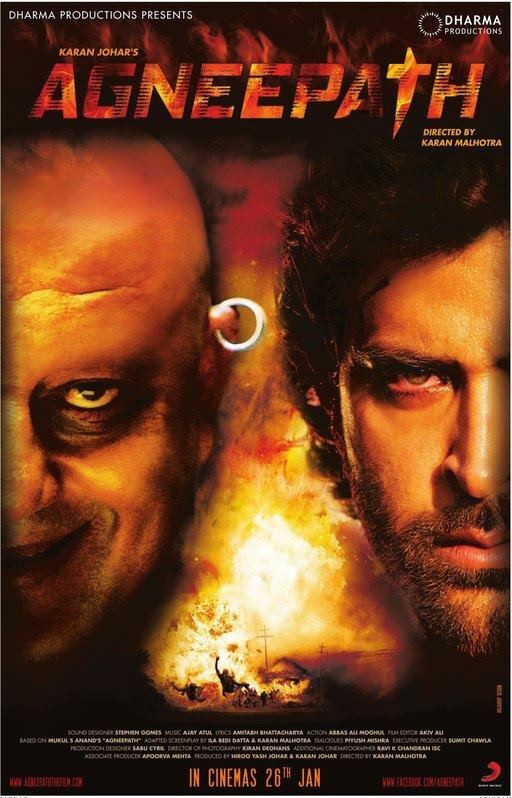 Eros released Agneepath internationally on 337 screens, the highest ever for any Hrithik Roshan film. Agneepath grossed £347,000 in UK in its first weekend (4 days). This is the highest opening weekend collections for any ’15’ rated Indian film. Agneepath is also ranked No 10 on UK Top 10 Box Office. In the United States, the four day first weekend collections are US$ 1.3 million, reflecting a healthy average of $10,000 plus per theatre. In UAE too, Agneepath has grossed over US$ 800,000 in four days, indicating the enormous support consumers have shown for this film. Other strong performing territories are Australia, Pakistan, Singapore, South Africa, Mauritius and Kenya. Analysts predict that Agneepath could in India alone hit the 100-125 crore mark and when you add in the overseas collections it is pretty clear that the film is a SuperHit the world over! 16 queries in 1.410 seconds.